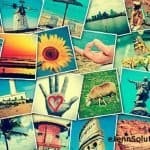 Home » How Many Hashtags Should You Use On Instagram? How many hashtags does it take to get noticed on Instagram? This is one of the questions I hear over and over. Not only am I asked this question repeatedly, but I myself have monitored how my posts do with a lot or a little amount of hashtags in them. Then when I get a response I wonder if it’s a particular hashtag that I used or is it all of them that I used. 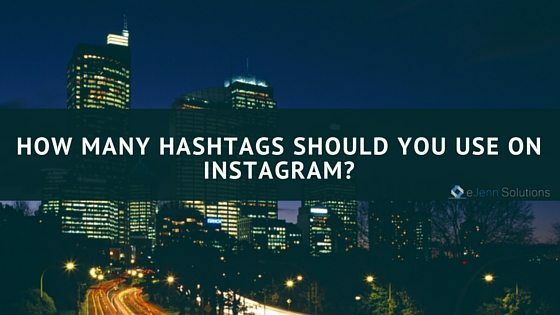 How to know how many hashtags to use in an Instagram post is the debate of the day! For those of you who do not know what a hashtag is, I have a whole blog post called “What is a hashtag?” for you to read! In a study done by MiniMaxir (source link below), he decided to use Instagram’s API and scan over 120,000 photos to compare hashtag use to likes. The answer … there isn’t a clear answer, but there are some great statistics! Given that Instagram allows a maximum amount of hashtag use to 30 … he looked at the stats from using 1 hashtag in a post to using 30 hashtags in a post. We also are more concerned with “likes” on the posts with hashtags… meaning … what number of hashtags received the most likes! As you can see from this diagram below the results are very interesting … 30 hashtags definitely brings the likes. 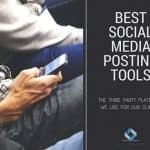 Although if you read the full article – using up to 15 hashtags can bring some really great results too … and those smaller numbers may not annoy your followers who will have to see all those hashtags in your post. If you want to learn more about Instagram and if it’s right for you, I have some crazy interesting stats for you! So there you are, answers to some of your hashtag questions! Hashtag away my lovely Instagrammers! It looks like more the better. Great post. I have found that the more hashtags the more engagement. Just make sure they are the right hashtags. Excellent point Steve!! Posting a picture of puppies and using the hashtag #Horses … isn’t going to give anyone good results. Thanks for stopping by to comment!